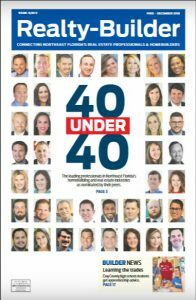 Congratulations to three of our Realtors on being named to the 2018 Realty-Builder “40 Under 40” list! 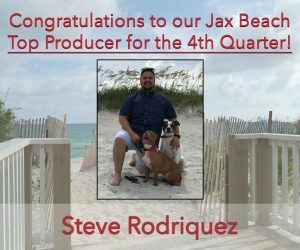 Steve Rodriguez, Caitlyn Hawkins and Matt Roberts were included in the elite list of pros who were nominated by industry peers. The annual list includes real estate and homebuilding professionals throughout Northeast Florida. 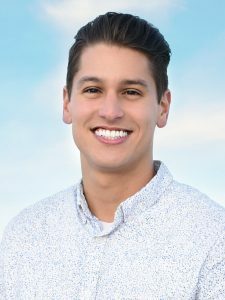 In addition to their work ethic, each agent brings their own passion, customer focus and unique marketing techniques that make them stand out. Congratulations to Steve, Caitlyn and Matt! Davidson Realty Agents finish 2018 strong! 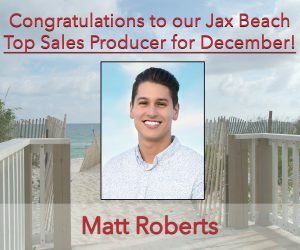 Congratulations to our Top Realtors for a great December and Fourth Quarter. Before we spring forward to 2019 we take time to commend our Top Producers for their outstanding performance in December and the Fourth Quarter. 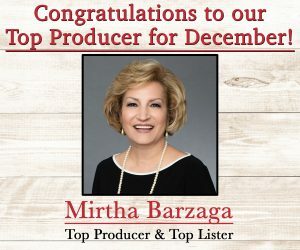 Our overall Top Producer for December is Mirtha Barzaga with over $2 million closings for the month. 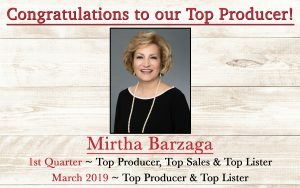 Mirtha is also Top Listing Agent of the month as well as Tops Sales and Top Lister for the Fourth Quarter. 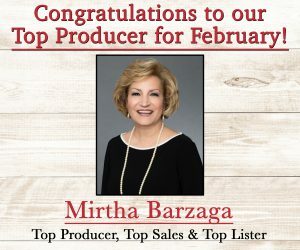 Mirtha proves she is one of the elite in this industry. Her consistently high performance is a testimony on the importance she places on serving her customers. 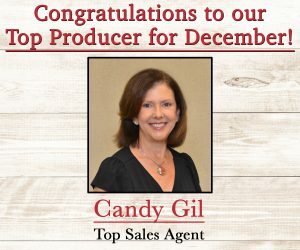 Our overall Top Sales Agent for December is Candy Gil with over $1 million in sales. 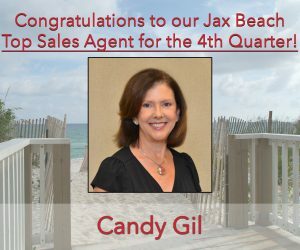 It is not surprising that Candy is also to be recognized as our Top Beach Sales Agent for the Fourth Quarter. 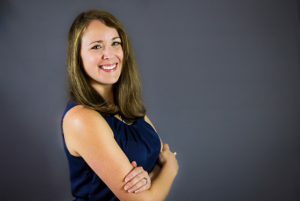 Her passion for helping her customers buy and sell anywhere in the first coast is evidenced by her high level of achievements. 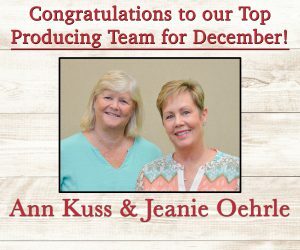 Our overall Top Producing Team for December is Ann Kuss and Jeanie Oehrle. This dynamic duo is not new to receiving these types of accolades. They continue to reach high levels of success in their business. 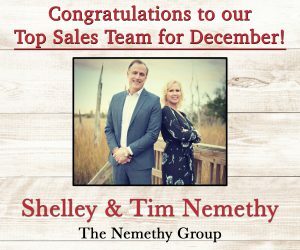 Our overall Top Sales Team for the month and quarter as well as our overall Top Producing Team for the Fourth Quarter is the Nemethy Group. Shelley and Tim Nemethy finished the quarter with over $1.7 million in closings as well as over $1.7 million in sales. Now that is a nice combination of achievements from a fabulous husband and wife team! 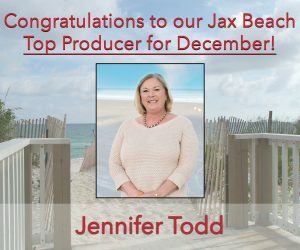 Our Tops at our Jacksonville Beach office include Top Producer for the month Jennifer Todd, Top Sales Agent for the month Matt Roberts and Top Beach Producer for the Quarter Steve Rodriguez. 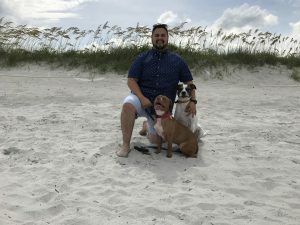 A special thanks and acknowledgment to these three beach agents who maintained their businesses at top levels while simultaneously taking part of a group who represented Davidson Realty in the charitable Jacksonville Beach Deck the Chairs Event this past holiday season. 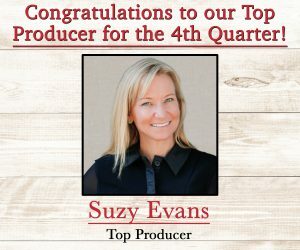 Capping off our overall Tops for a remarkable Fourth Quarter finish goes to Top Producer Suzy Evans. Suzy closed over $2.5 million in closings on the quarter to finish out her year in exemplary style helping sellers and buyers alike make their move in 2018. We can’t wait to see what she achieves in 2019! Congratulations to our entire team for another great year of serving our customers first!